Managing a rental home is a 24/7 job. As a landlord, you work nights, weekends, and holidays. It’s not just about receiving a rent check every month and seeing your profits increase. If that is your expectation, you will be met with a lot of stress and frustration. Being an investment property owner requires a significant amount of time, attention, and resources. Put Off Maintenance. Needed maintenance doesn’t disappear if you ignore it. Don’t leave it undone. Take maintenance requests seriously and respond to them promptly. A small repair can turn into a big repair if not handled properly. Ignore Regulations. You must always follow the law. Always, always. Know your local, state, and national rules and regulations. Otherwise, you might find yourself with some hefty violation fines. Get Emotional. While it is your home, you decided to make it a business investment once you placed tenants in it. Tenants generally do not care for your home at the same level you would do the homeowner. Go Without Proper Tenant Screening. A lot of common landlord problems can be avoided by placing qualified tenants. Check credit, income amount, employment, and rental history. Act Disrespectfully. Tenants can rub you wrong, but you have to react like a professional business owner. You can be stern, but do not belittle or argue. An easy way to avoid potential conflict is to make sure the lease carefully and meticulously explains tenant responsibilities as well as landlord duties. Not Be Reachable. 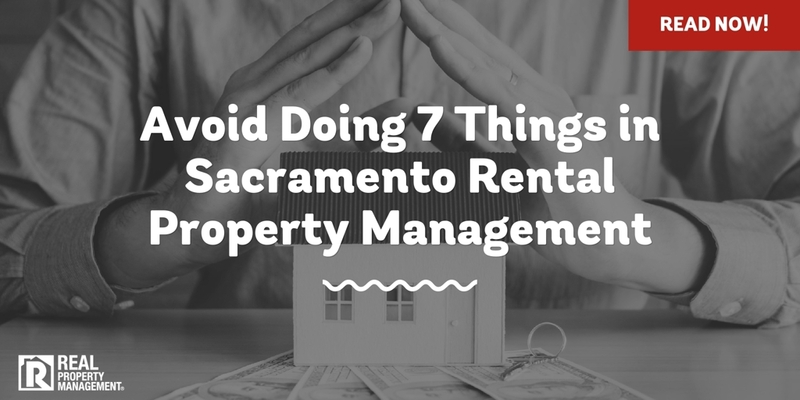 Whether partnering with a Sacramento rental property management company or not, it is important to be available. Emergencies inevitably arise. Crucial decisions need to be made. Make sure you can be contacted. Be Unrealistic. Rental homes require you to put money into them. Normal wear and tear will happen. You cannot expect to go without maintenance and needed repairs. Maintaining a rental home costs you money as well as makes you money. The specialists at Real Property Management SAC-METRO want you to have a positive experience being a rental investor. With more than 30 years of experience, our experts utilize a hassle-free leasing cycle that is proven to be successful. You can be a profitable landlord and see investment gains. Put our team to work for you. Learn how our proven processes can increase your bottom line. Give Real Property Management SAC-METRO a call today.